I waffled back and forth about whether I was going to post these looks today. I originally was going to post this last week, and to my horror, realized that this palette became out of stock at every single store after I photographed these looks. What on earth are the chances?! So, with that said, if you like any of these looks, every shade is available in a full size for $12 at Macy’s, or 4 for $40 plus they also will throw in a quad to hold them for you. Additionally, Anastasia Beverly Hills has released the Self Made Palette, which is also limited addition and has a similar mix of warm tones and bold color. I did, however, absolutely fall in love with this palette and if it’s still available in your local Nordstrom, Ulta, or Sephora stores, buy it. Buy it now. 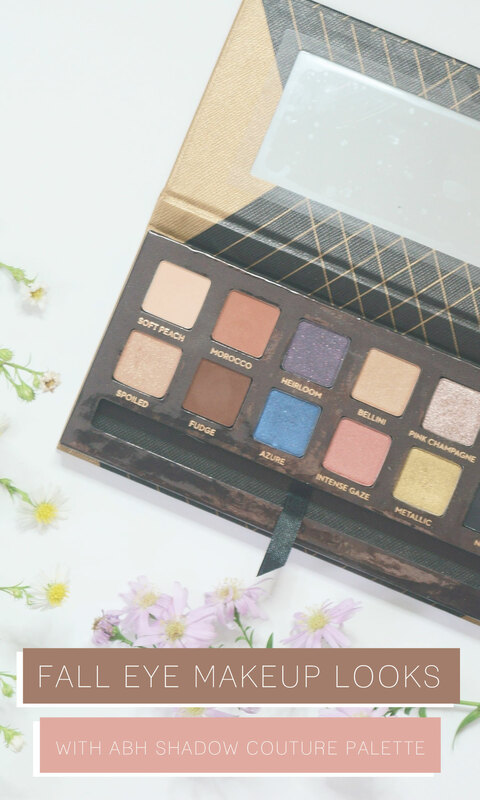 For $30, I think it is the best palette for the holidays – it has your warm browns, a pop of color in the Azure and Pink Champagne shades, and the perfect holiday vibe with Chic and Metallic. 1. Start with an eye base, then run Soft Peach all over the lid. 2. Dip a brush into Morocco, and run all over your crease. Then using windshield wiper motion, blend it out. 3. 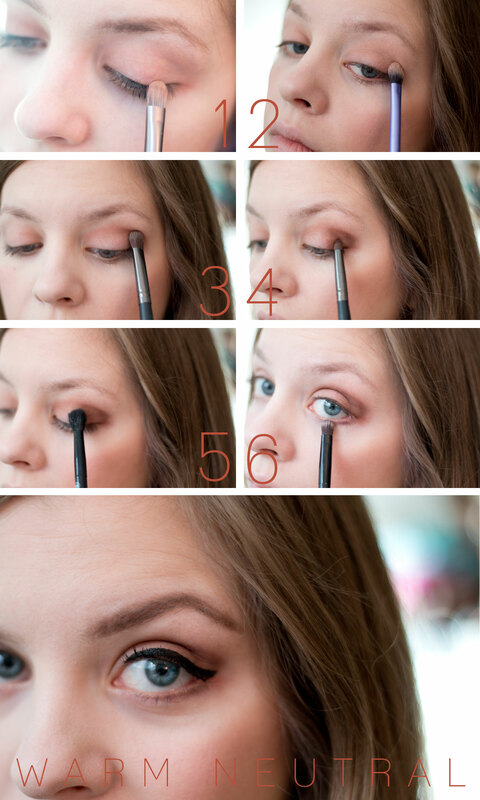 Next, grab a little bit of Fudge and blend into the center of your crease and the outer v.
4. Tak a little more Fudge on a pencil brush, focusing on the outer v.
5. Blend out Fudge with a fluffy blending brush. 6. Take a little bit more Fudge and run it across the lower lash line for definition. For a pop of shimmer, use a finger to add Bellini to the center of the lid. If you’d like, line your eyes with your favorite black liquid liner, your favorite mascara, and fill in your brows. I wore a similar look to our recent Miami wedding. I was inspired by the art deco district in Miami’s South Beach neighborhood. When I think of art deco, I think of black, gold, and glam, which is exactly what you get with this look! 1. Start wth an eye base, then blend Noir all over the lid and outer v.
2. Using your finger, pat Metallic onto the center of the eyelid. 3. With a pencil or small brush, add more Noir to the crease, above where you’ve placed Metallic. Blend out with a fluffy brush. 4. If you accidentally blended too much of Noir and Metallic together like I did, you may need to add some more Metallic back to the center of the lid. For more control, I used a small brush for this. 5. With a small brush, pick up some Noir, and tap off the excess. Then run the remaining color over the lower lashline. 6. To match the upper lid, grab the small brush you used in step #4 to add Metallic to the lower lashline, focusing on the center. Then, add your favorite black liner, mascara, and lashes if you wish! The color Azure in this palette was calling to me! It’s a beautiful cobalt that’s accentuated in this look by black liquid liner and white eyeshadow crayon. 1. Start with an eye base, then run Soft Peach across the upper lid. 2. In the inner corner, add a generous amount of Pink Champagne. 3. 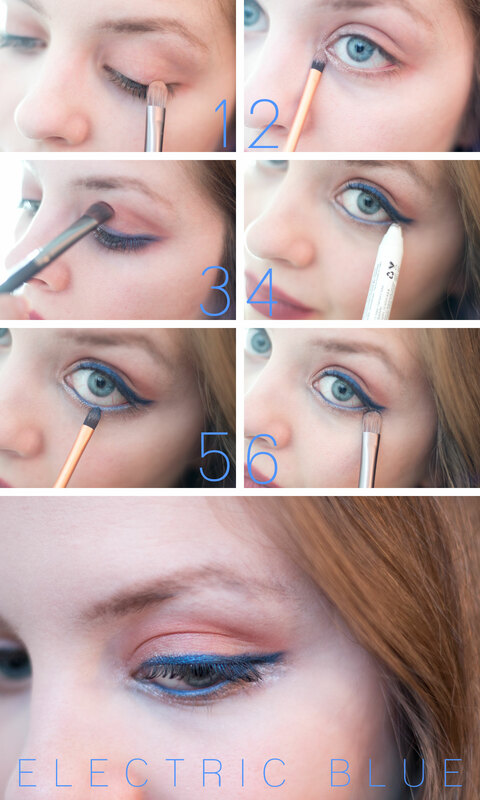 I changed my mind on a couple of these steps, so for this step we’re focusing on the crease. Add Intense Gaze to your brush and blend it into the crease using windshield wiper motions. 4. For the bold wing, run your favorite black liquid liner across your upper lash line. While it’s still slighty wet, pick up Azure with a small brush and pat it on top of the liner. Run a white eyeshadow crayon across your lower waterline. 5. With Azure on the same small brush, place it on top of the white eyeshadow crayon line you just created in step #4. 6. Pick up Pink Champagne and run it across the lower lash line for some extra glam, then add your mascara and you’re done! I love the black deco and gold! Perfect for holiday parties! Thanks Brittany! I love that look for holiday parties too and will definitely be doing it again! Gorgeous! All of them! Such a bummer that they sold out so fast, but I’m glad you shared these looks anyway! Thanks Chelsea! I know, I was super surprised it was sold out already, but I guess it’s just a testament to how pretty it is! THANK YOU! I have this palette, LOVE Morocco and Fudge, but have been a little puzzled with the brighter colors! I did layer Metallic over a gold metallic shadow from my Morphe palette the other day and it gave off such a beautiful duochrome look! Yay, so glad it was helpful Chelsie! That sounds like a super pretty combination, I’ll have to try mixing Metallic with other metallic shadows too! Love your techniques even if we can’t use these colors, still great inspiration! Thanks Laura! So glad you enjoyed the looks!